I did a guest post over at Mandy’s Recipe Box a few weeks ago. 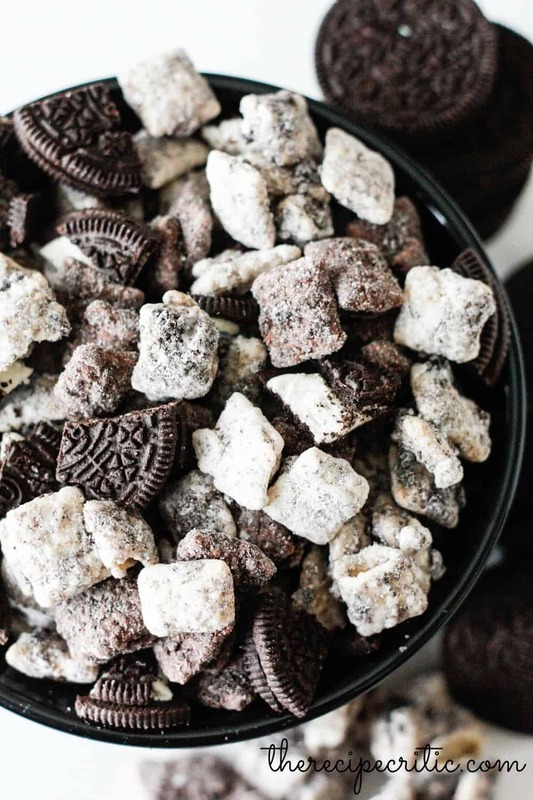 I had to share some muddy buddies over there. I have quite a few different variations, and my obsession is no secret. Even when I am trying to watch what I eat, I had to try a ‘skinny’ version so that I could still get my fix. Every time I try a different spin on Muddy Buddies, I think that they are the best that I have made. Review: This version was definitely one of my favorites! 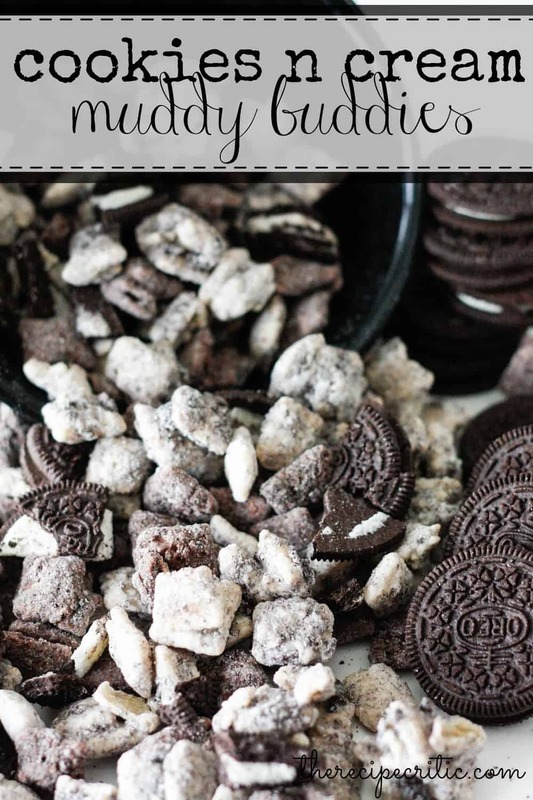 I did love the crushed oreos throughout and I will definitely be making these again! 1. Divide the chex cereal into two bowl. 2 1/2 cups in each. 2. In a food processor crush 8 oreos until fine. You can also crush in a gallon size bag with rolling pin. 3. In two gallon size bags, add 1/2 cup powdered sugar into each bag with 1/2 of the crushed oreos into each bag. (It was about 1/2 cup of crushed oreos.) Set aside. 4. Melt the white chocolate and milk chocolate in separate microwave safe bowls. Melt 30 seconds at a time with 1/2 tsp shortening in each stirring after each 30 seconds until melted. 5. Once melted, stir in the chocolate into the separate bowls with Chex cereal until the Chex are coated well with the chocolate. 6. Add the white chocolate and milk chocolate separately to the gallon sized bags with powdered sugar and crushed oreos and shake until they are coated. Then add some extra crushed pieces to the mixture at the end. Enjoy! Stay connected with The Recipe Critic! I LOVE muddy buddies too. Can’t wait to try out this version!! These sound delicious! Would be great for a party! I love this recipe and am planning on making it at my graduation open house this weekend. i was wondering if you could give me an estimate on how many this particular recipe serves so I can make correct calculations for the amount I need to make. Thanks!